If you’re near the Pentagon or Arlington National Cemetery today, you might want to watch the skies around lunchtime. About 30 T-6 Texan aircraft — a two-seater used for advanced pilot training during World War II — are going to take off from Culpeper Regional Airport in Virginia around noon, and fly over Northern Virginia in formation. The Potomac Flight is scheduled to swing by Andrews Air Force Base, before flying over Arlington National Cemetery and the Pentagon in formation around 12:30. 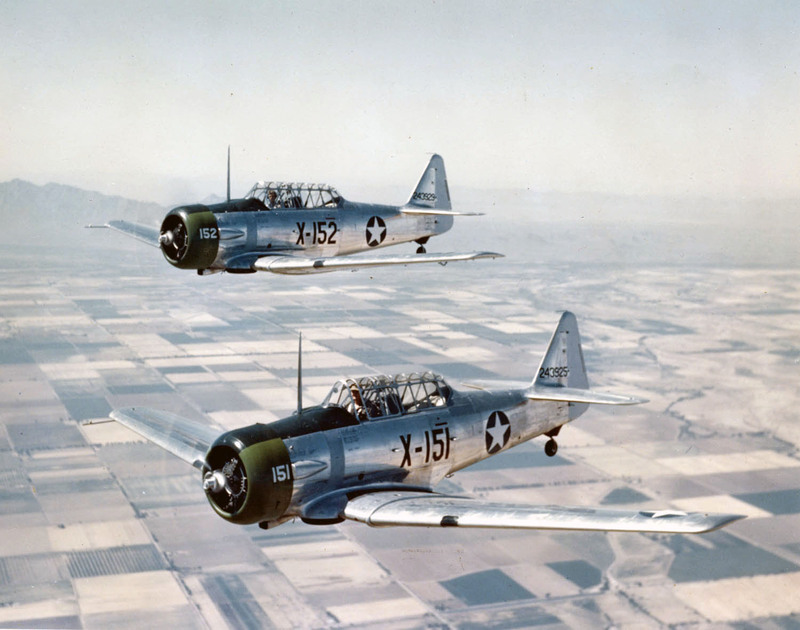 The T-6s will then return to Culpeper. The ceremonial flight is part of this weekend’s Culpeper Air Fest, and is in honor of disabled American veterans. North American Aviation built more than 15,000 Texans between 1938 and 1947, and about 400 are still flying today. Check out the flight plan here to see if they’ll be coming by your area. And if you happen to get any good shots of the Texans, tweet your pictures to Air Force Times, and we’ll retweet them.